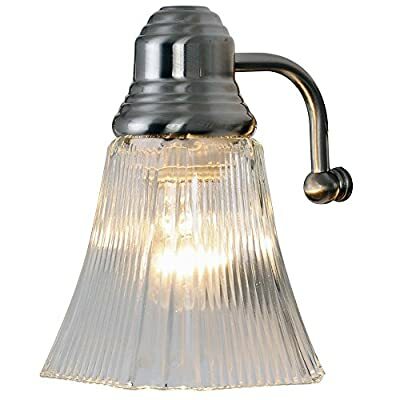 Monument 617036 Decorative Vanity Fixture, Brushed Nickel, 30 In. Product prices and availability are accurate as of 2019-04-12 00:29:25 EDT and are subject to change. Any price and availability information displayed on http://www.amazon.com/ at the time of purchase will apply to the purchase of this product. 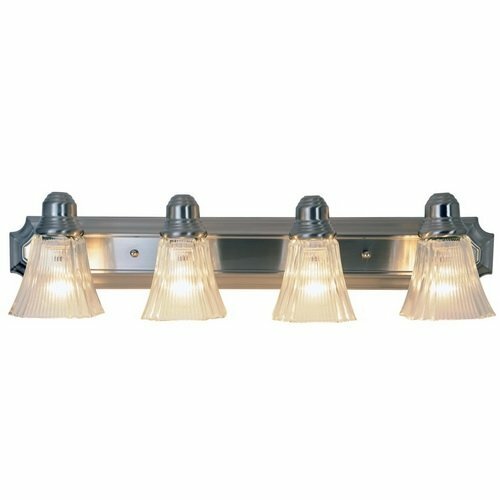 617036 Features: -Bath vanity light.-Number of Lights: 4.-Decorative.-UL listed. Color/Finish: -Brushed nickel finish with clear ribbed glass globes. Specifications: -Bulb type: 60W medium base bulb (not included). Dimensions: -Overall width: 30".